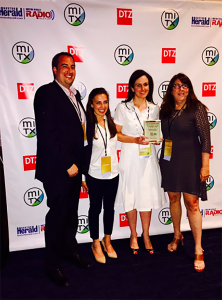 Congrats to our friends at Vivoom for their two 2015 MITX Awards: Best Mobile Campaign and Most Innovative Ad Technology. Working together to create such an amazing and pioneering marketing platform has been truly rewarding – pun intended. Established in 1996, MITX, the Massachusetts Innovation & Technology Exchange, is the leading industry organization focused on the web and mobile, bringing together the digital marketing, media and technology community to engage in what’s next and how it will impact the marketing and business worlds.